Giggles N Dimples – Stay cute, but stay lifted! After multiple delays, regulators are finally moving forward with draft regulations to implement the state’s 2016 voter-approved initiative legalizing the commercial production and retail sale of marijuana. Regulators are now deliberating over a 73-page draft of rules governing the adult use marijuana market. The rules will not be finalized until regulators receive input from the public and they are approved by a majority of lawmakers. Under the proposed rules, commercial licenses will only be granted initially to state residents. Those with a felony drug conviction within the past ten years will be ineligible for a license. The proposed regulations also impose limits with regard to THC content and the appearance of cannabis-infused edible products. Retailers will not be permitted to sell customers more than 2.5 ounces of usable marijuana and/or five grams of concentrate in a single day. Retailers will need to first receive local approval prior to applying for a state operators license. Maine voters initially approved the legalization of cannabis sales in November 2016, but lawmakers – led by former Republican Gov. Paul LePage – have repeatedly taken steps to delay the law’s implementation. Majorities of Democrats and Republicans back legalization, and most respondents agree that marijuana is less dangerous than alcohol or other drugs. Fifty-five percent of Americans also acknowledged having personally consumed cannabis, the highest total reported in the poll’s history. Most Americans (62 percent), including a majority of Republicans and Democrats, also say that they oppose the federal government taking action to disrupt the production and sale of marijuana in states where it is currently legal. The CBS poll results are consistent with those of other recent major surveys, such as those by Gallup (66 percent), Pew (62 percent), and Quinnipiac University (60 percent) — all of which similarly show support for legalization at record or near-record highs. People in Oregon grow a lot of weed. The Beaver State has been a net marijuana exporter for decades. The state’s medical-marijuana program was approved by voter initiative in 1998, yet it wasn’t until 2013 that the legislature passed a bill to license and regulate dispensaries. Voters approved a legalization measure in 2014, and adult-use sales started in 2015. Then, in 2016, the state legislature repealed a residency requirement for marijuana businesses and opened up Oregon’s marijuana industry to out-of-state investment. Foxx’s office is negotiating with the same non-profit group that assisted the San Francisco District Attorney’s Office in automatically reviewing and vacating over 8,000 past marijuana-related convictions earlier this year. Foxx also indicated that her office is reviewing policies regarding whether to bring criminal prosecutions in cases involving marijuana sales. Under existing policy, the office typically does not prosecute low-level drug possession offenses. Under state law, the possession of more than ten grams of cannabis but less than 30 grams is classified as a criminal misdemeanor, punishable by up to one year in jail. Possessing more than 30 grams is classified as a felony offense, punishable by up to six years in jail. In recent months, prosecutors in a number of major cities – including Baltimore, Philadelphia, and St. Louis – have moved to limit low-level marijuana prosecutions, while officials in a number of other cities and counties, like Brooklyn, Denver, San Diego, and Seattle have moved to vacate past cannabis-specific convictions. .
House Bill 324 (aka Georgia’s Hope Act) establishes a regulatory commission to oversee the eventual “production, manufacturing, and dispensing” of products possessing specified quantities of plant-derived THC to qualified patients. The law allows for the licensing of up to six cultivation operations, and seeks collaboration with the University of Georgia in the manufacturing of THC-infused extracts and oils. Under a 2015 state law, qualified patients are exempt from criminal prosecution for the possession of oil extracts containing not more than 5 percent THC and an amount of CBD equal to or greater than the amount of THC. 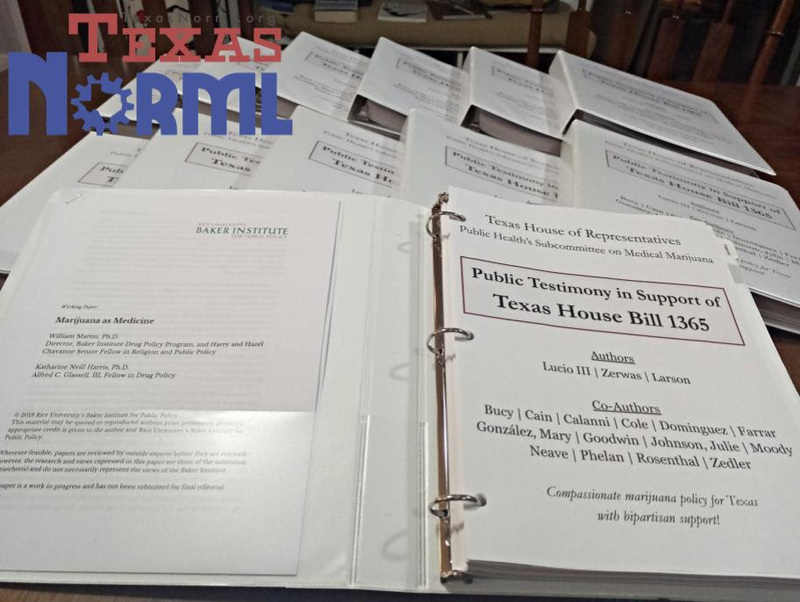 However, the law failed to provide any mechanism for patients to obtain low-THC products from a state-regulated producer or provider. Approximately 9,500 patients are currently registered with the state to possess medical cannabis products. For additional information on pending state legislation, visit NORML’s ‘Take Action’ Center here.